about ten years, before it was only accessible by members of the golf club. The restaurant is parted in two areas: a “regular” restaurant and a winter garden and there is also – as mentioned – a terrace. The first time I was there I had lunch in the outdoor area. The terrace is large and it was very busy on that that day. The second time, I was there on the occasion of a family dinner on a quiet Sunday evening. This time, we were seated at the restaurant with view of the winter garden. The room is tastefully decorated in a contemporary style with dark tables and chairs as well as white table runners, I like the look. For lunch, there are three menus with a soup or salad included and sometimes a daily recommendation for a main, which can be preceded by the soup or salad of the day. In the evening, there is a menu with a wide range of options. There is a bit of everything: pasta, fish, vegetarian and meat dishes plus grill specialties accompanied by a choice of side dishes. At some times, there is also a separate menu with specials of the season, i.e. Indian or game specialties. 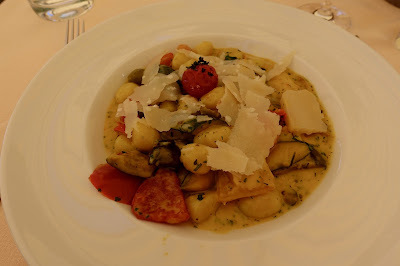 When I was there first, I opted for the daily recommendation consisting of potato gnocchi with grill vegetables, tomatoes, Parmesan and a saffron herb sauce. It was tasty and plentiful albeit a bit heavy. 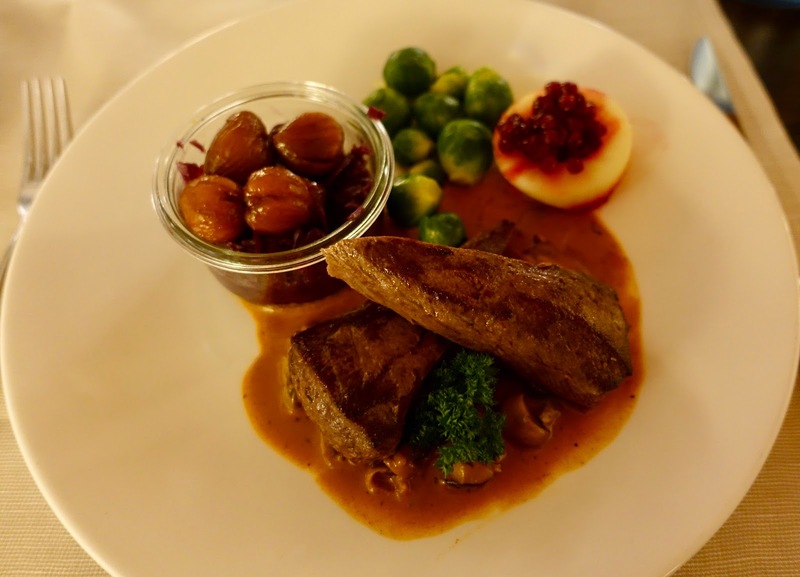 The second time, I decided to try starter and main from the separate menu with game specialties: field salad with chopped boiled eggs and croutons as well as deer with creamy mushroom sauce together with spaetzle, red cabbage, Brussels sprouts, chestnuts and a stewed apple with cranberries. 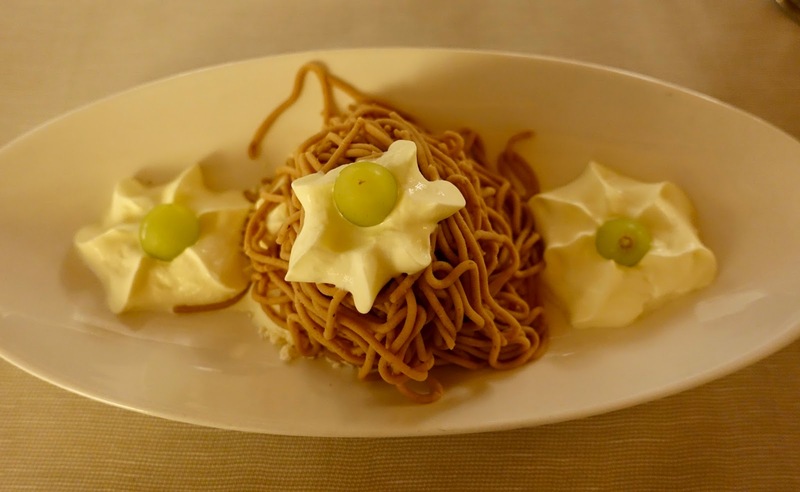 For dessert I chose a typical seasonal Swiss dessert, vermicelles, chestnut mousse with meringue, vanilla ice cream and whipped cream. Judging the performance foodwise, it was solid without being memorable. As far as the service is concerned, the same is true, it was okay but nothing that leaves a lasting impression. 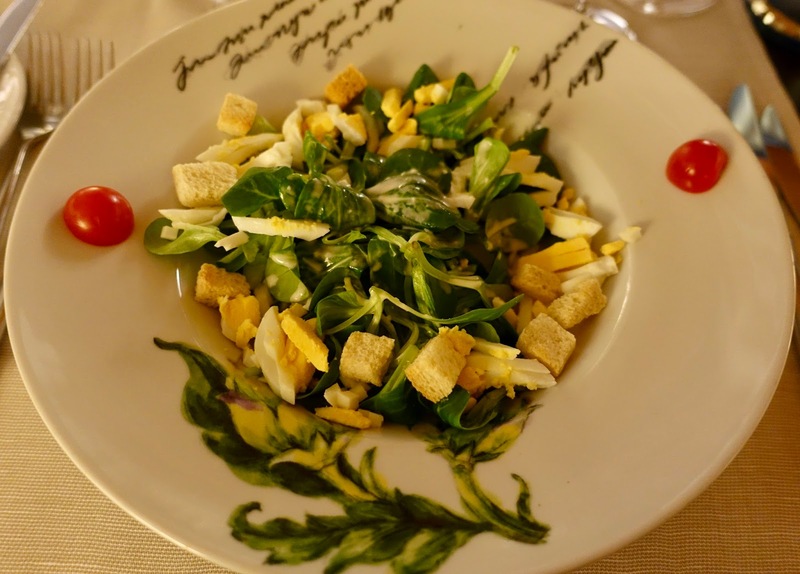 When it comes to the price level, it could be said that all the dishes are reasonably priced. 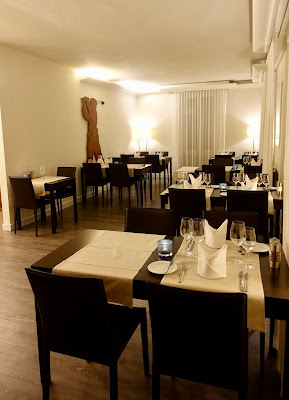 All in all, Golfrestaurant Aarau-West offers pretty good food in a modern ambiance and it is good value for money. A culinary top performance cannot be expected, but one slightly above average is likely to be achieved.